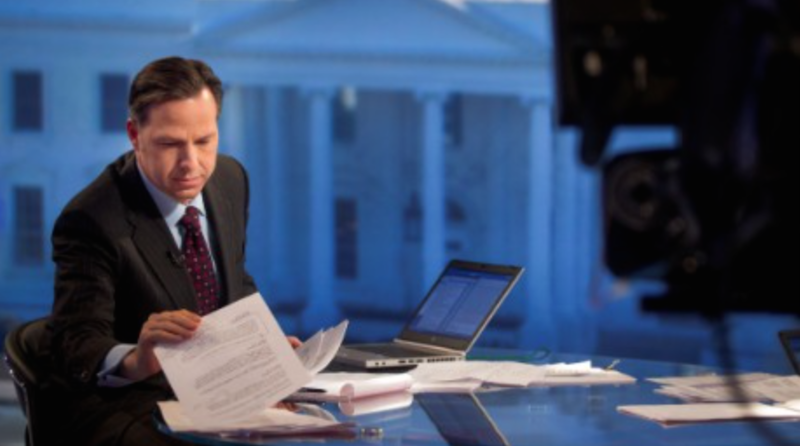 "CNN Sundays are about to change..."
Jake Tapper has gotten the nod as the new anchor of “State of the Union,” announced CNN on Friday morning. The Sunday morning political program has been without a lead anchor for almost 4 months now — since the departure of Candy Crowley in December. CNN has been rotating much of its DC talent as guest anchors during the vacancy, including Jim Sciutto, Dana Bash, Jim Acosta, Gloria Borger, and Michael Smerconish (Philadelphia). Tapper, who joined CNN from ABC in 2013 to anchor “The Lead,” is set to take over the program in June. Watch promo clip, courtesy of CNN.